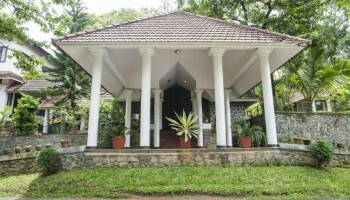 Hotel Treetop is a resort of enviable repute, spread in a picturesque 4 acre plot just a stone’s throw from Periyar Tiger Reserve (Thekkady). 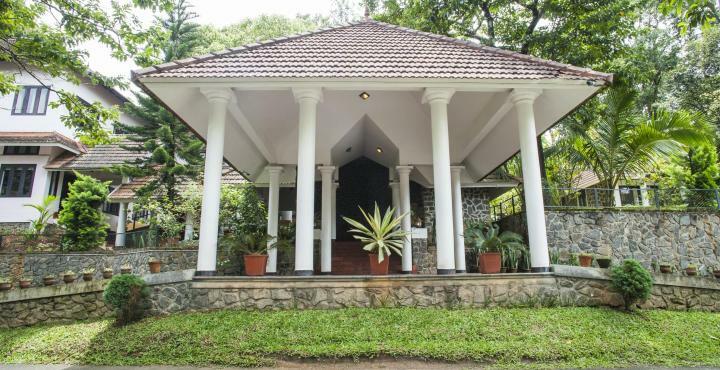 Composed of independent cottages and deluxe rooms, Hotel Treetop endeavours to ensure that its guests get the quintessential Thekkady experience. 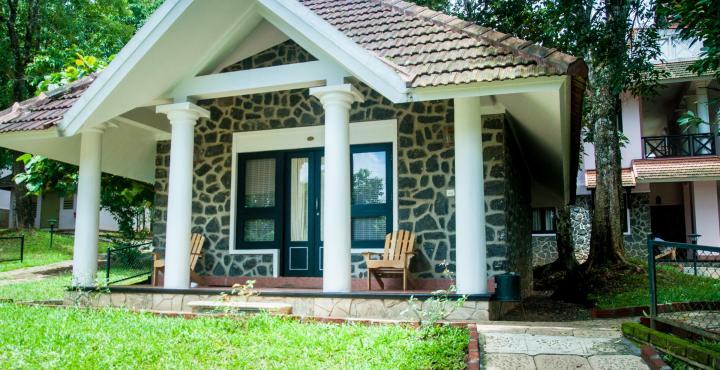 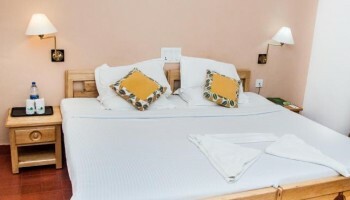 The cozy, spacious cottages at Hotel Treetop have granite stone exteriors and steep gabled tiled roof which is reminiscent of the colonial bungalow. 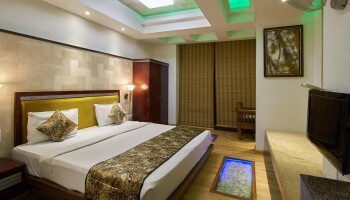 In stark contrast to typical high rise buildings, where the occupants are cut off from the natural environment, rooms at Hotel Treetop are set in a cascading verdant landscape, embraced by the lush greenery of its abundant trees – fruit bearing and others, extensive lawns and gardens. 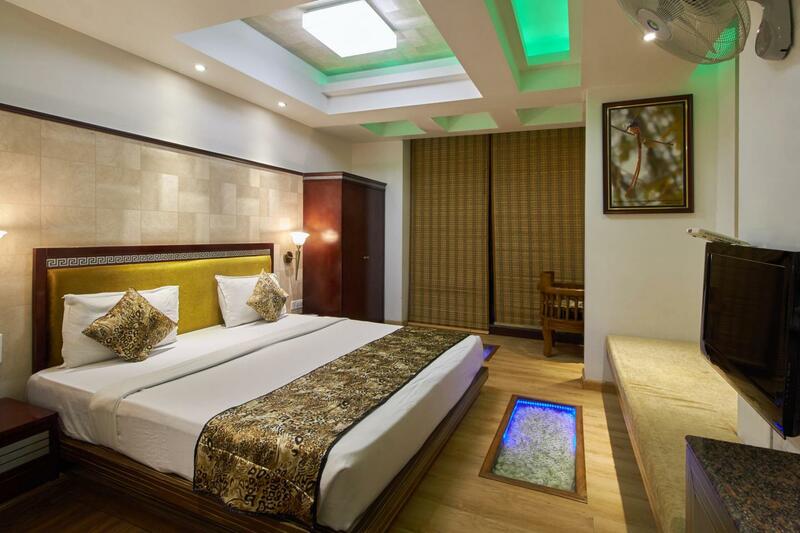 In keeping with this vision, no building at Hotel Treetop goes above 2 floors. 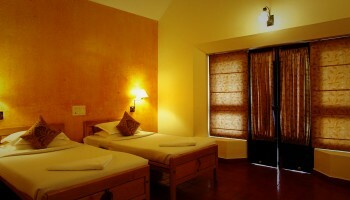 This ensures that you will always see the tree cover and greenery when you step out of your room. 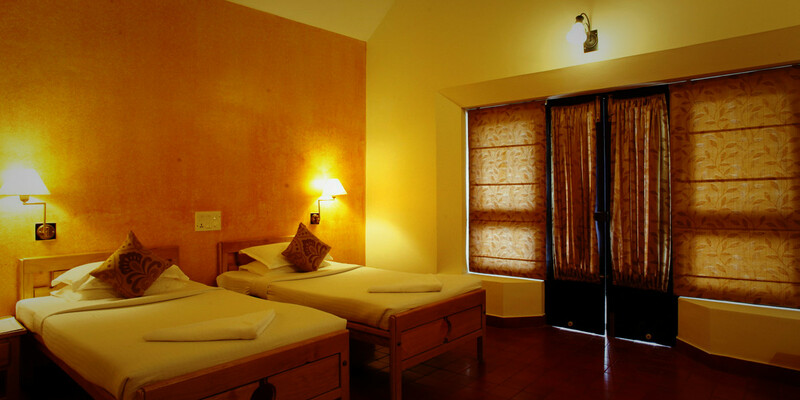 The well-spaced, neatly laid cottages have a peaceful, serene ambience about them and provide absolute privacy. 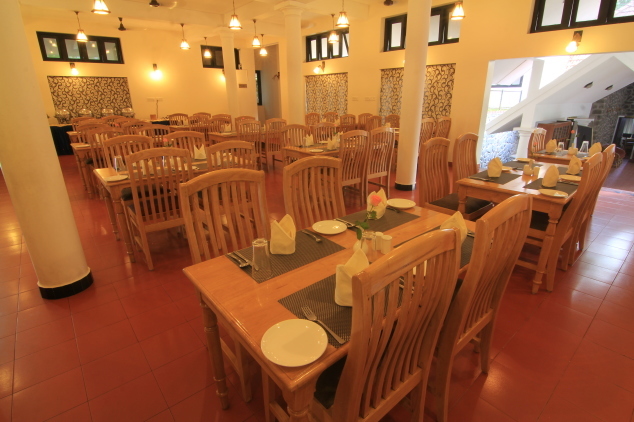 Hotel Treetop houses a multi-cuisine restaurant that serves delectable fare from all prominent cuisines around the world. 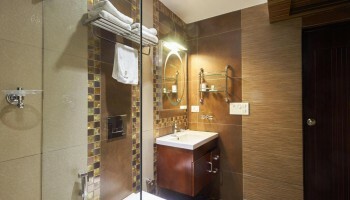 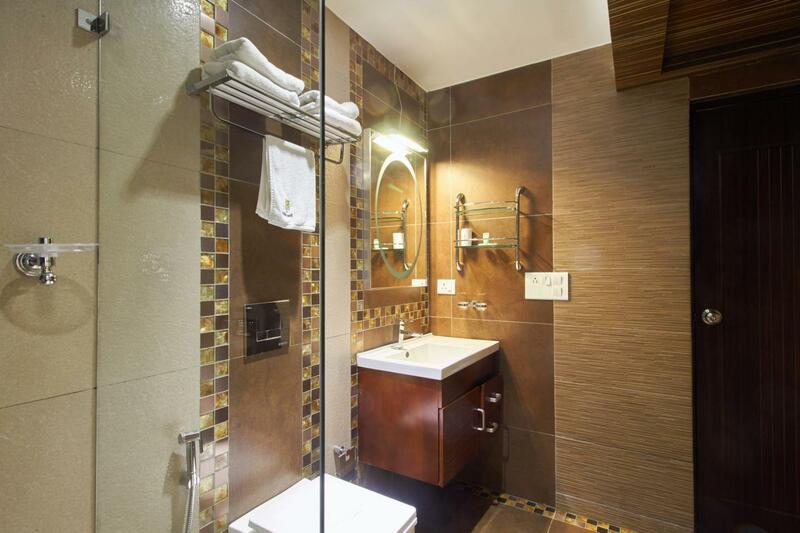 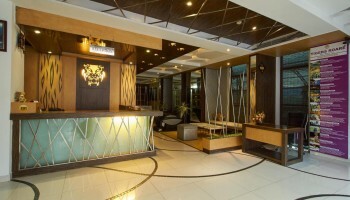 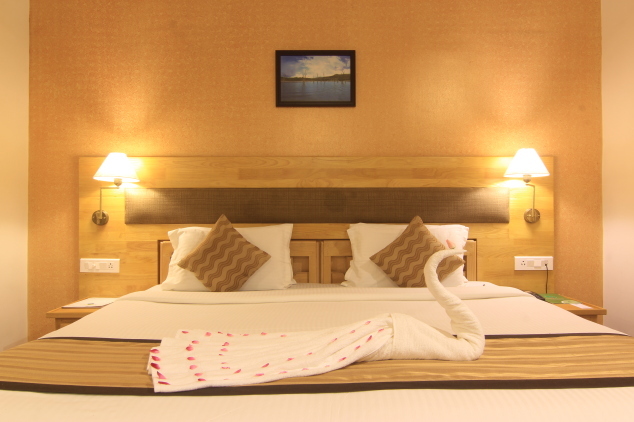 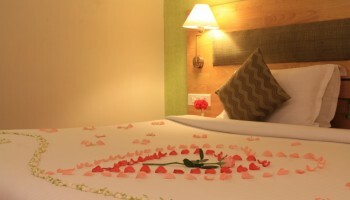 Our high staff-per-room ratio enables us to provide outstanding personalized service for our guests. 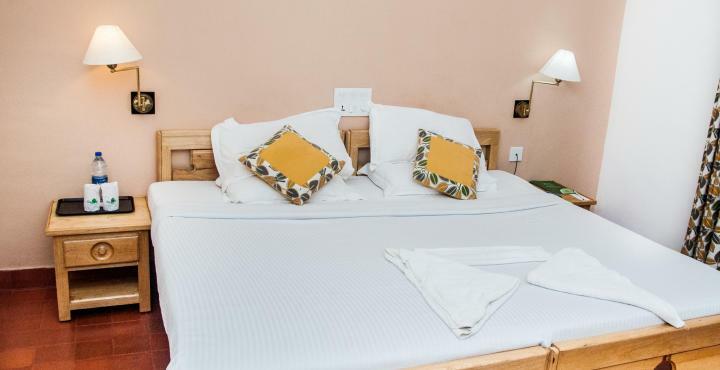 The recreation area, children’s play area, several hammocks and our mini-Library ensures that you can enjoy your stay without stepping out of the property. 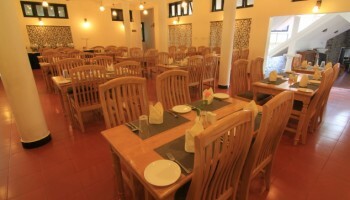 Our Conference Hall and Barbeque area is well equipped to handle mid-sized crowd. 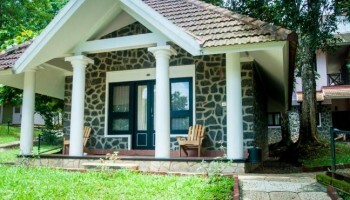 It is apt for evening parties with campfire and Barbeque. 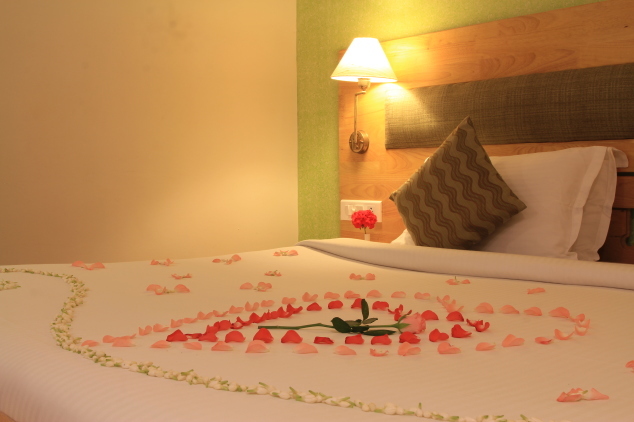 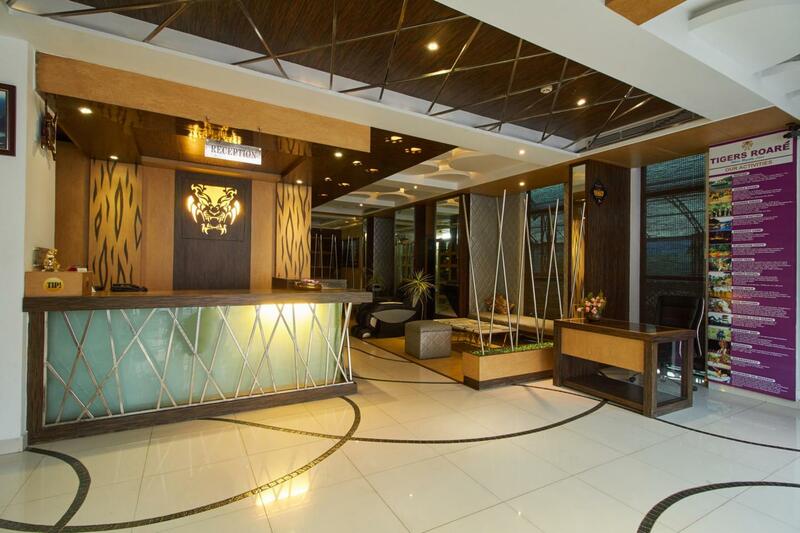 Being in close proximity to all major attractions in Thekkady, our 24 hour concierge can not only book/arrange performances but also suggest the best things to do in Thekkady depending on your interests.